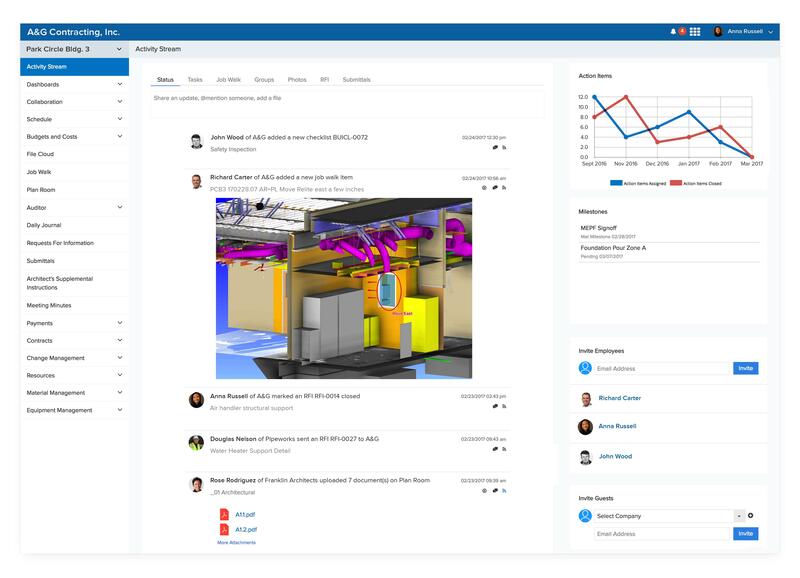 Builderbox is a cloud-based construction project management platform. It helps architects, engineers, and construction professionals communicate effectively, document everything, and make data -driven decisions. A comprehensive set of features offer automation to save time and money, and to assist in quick turnaround on projects. Builderbox allows users to collaborate with secure communication tools that feel familiar but are more powerful than e-mail. Users can convert communication into Action Items with powerful reminder and notification features that keep teams accountable and on schedule. Builderbox enables automated document approvals to get a real-time picture of who is responsible for what. Everyone knows what needs to be done and who is responsible for each step. Documents are up-to-date, so tasks can be managed correctly. Users are enabled to stay compliant with regulatory and owner requirements. Closeout packages can be built as the project progresses. Builderbox allows users to turn information into knowledge and make better decisions with context. Data can be measured across the project portfolio with customizable dashboards and reports, and users are enabled to quickly find the information they need to stay on task and complete projects. Key features of Builderbox are: Document Controls, File Sharing, Issue Tracking, Punch Listing, Photo Sharing, Plan Room, Daily Reporting, Safety and Quality Inspection and Auditing, RFIs, Submittals, Change Orders, Payment Applications, Draw Requests, Transmittals, ASIs, Time Sheets, Payroll, Contract Management, Budgeting, Cost Controls, Project Planning, Scheduling, Material Tracking, Equipment Tracking, and Labor Tracking. Hundreds of construction management documents are included in Builderbox. Users enter information into the software, and the reporting, analytics, and dashboards built into Builderbox will produce fully-formatted reports. Repetitive administrative tasks are handled via automation to save on costs and time. Still not sure Builderbox is right for you? Use our Product Selection Tool to compare other Construction Management solutions. Have questions? Call one of our unbiased Technology Advisors for a free consultation. Learn everything you need to know about Builderbox. Our experts will reach out to you shortly.